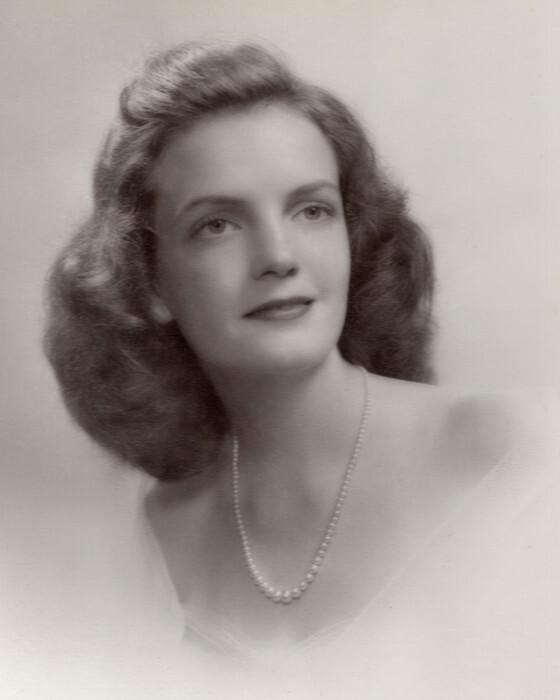 Eloise Dey Collins Lockhart was born January 26, 1929 in Charlotte, NC and died March 20, 2019 in Jacksonville, Florida. She was predeceased by her parents Eloise Dey Doxey Collins and Charles Raymond Collins of Charlotte, NC and her brother Charles Raymond Collins Jr. of Virgin, Utah. She is survived by her daughter Eloise “Bunny” Lockhart-Sample, her granddaughter Ashley Rutland (Taylor) of New Orleans, Louisiana, her great grandchildren Beckett Rutland, Emma Rutland and Avery Kate Rutland of New Orleans, Louisiana, nephews Charles Raymond Collins III (Oriana) of Montclair, Virginia, John Collins (Terry) of Powell, Wyoming, and many great nieces, nephews and cousins. Eloise attended National Cathedral School and graduated from Holton Arms School in Washington, D.C. She studied art in New York City at Columbia University and The National Academy of Design School. Eloise enjoyed her time studying under Maximilian Rasko of Hungary in New York City. She moved to Jacksonville in the early 1960’s and later moved to the beaches. She was a member of the Ponte Vedra Chapter of the NSDAR, Junior League of Jacksonville and the Jacksonville Rose Society. A memorial service will be held at Christ Episcopal Church, Ponte Vedra Beach, FL Monday, March 25, 2019 at 10:30AM. Interment will be at Forest Lawn West Cemetery Tuesday, March 26, 2019 at 11:30AM in Charlotte, North Carolina. In lieu of flowers donations may be made to the Alzheimer’s Association, www.alz.org.